Jack Hammerton was born in Slough on 5thMarch 1915 to William and Maud Hammerton, his father being a journeyman blacksmith by trade. Growing up in the family home on India Road in Slough, from 1926 until mid-1931 the young Jack attended Slough Secondary School, where, apart from his academic studies, he shone as a keen sportsman and represented his school in both football and cricket, being made captain of the first XI football team for the 1930-31 season. After leaving school, he gained employment with the Equitable Building Society. In March 1939 he joined the RAFVolunteer Reserve to become a pilot. Two days before Great Britain declared war against Germany on 3rdSeptember, Jack was called up and sent to Woodley near Reading to begin his flying training. With training completed and proudly wearing his “pilot’s wings”, Sergeant Jack Hammerton was not thrust straight into combat despite the intensity of the Battle of Britain. His first posting in August 1940 was to Scotland (with No. 3 Squadron of RAF Fighter Command to fly the Hawker Hurricane), where he could gain a measure of operational experience before facing potentially stronger enemy forces. The month of September passed with determined attacks by the Luftwaffefailing to achieve air superiority over the RAF, who held firm in their defence of British skies, but the attacks continued and increasingly so at night as The Blitzon Britain’s cities started in earnest. A dramatic change to Jack’s RAF career occurred in early October 1940, when he was posted to 615 “County of Surrey” Squadron at RAF Northolt near London. Aerial combat with the Luftwaffewas now a certainty. However, Jack’s first major incident that month did not occur against the enemy but in an accidental take-off collision with a squadron colleague, though fortunately neither pilot was injured. Three days afterwards, in chilling foreboding of events soon to occur, Jack mysteriously went “missing” during a fighter patrol, but he turned up safe and sound in the evening after probably having to land at another RAF airfield to refuel. Then on 6th November, during another patrol, he went missing again after apparently chasing some enemy aircraft and was last seen leaving the formation at about 25,000 feet. What exactly happened no-one knows, because Jack did not return to Northolt and there was no sign of him the following day. A week passed by on the squadron with no news of his fate; then on 13th November news was received that Jack had been discovered dead by his burnt-out Hurricane at a small village calledNoah’s Ark, between Kemsing and Seal in Kent. Why he crashed was never fully established, though the “Flying Accident Card” for his Hurricane states control was lost at 24,000 feet due to lack of oxygen. It was sadly not unknown for pilots to slip into unconsciousness due to oxygen starvation and, as their aircraft dived to earth, not to regain their senses in time to pull out from the dive or take to their parachute. Jack was laid to rest in his home town at Stoke Road Cemetery, Slough. Some relics from Jack Hammerton’s wrecked fighter, recovered at the crash-site, are on display at the Shoreham Aircraft Museum near Sevenoaks. 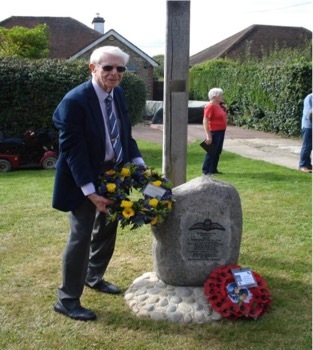 They and the memorial will ensure that, as “One of The Few” from the Battle of Britain who made the supreme sacrifice, Jack will never be forgotten. 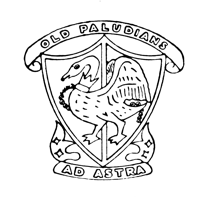 Jack Hammerton (centre) – Old Paludian. 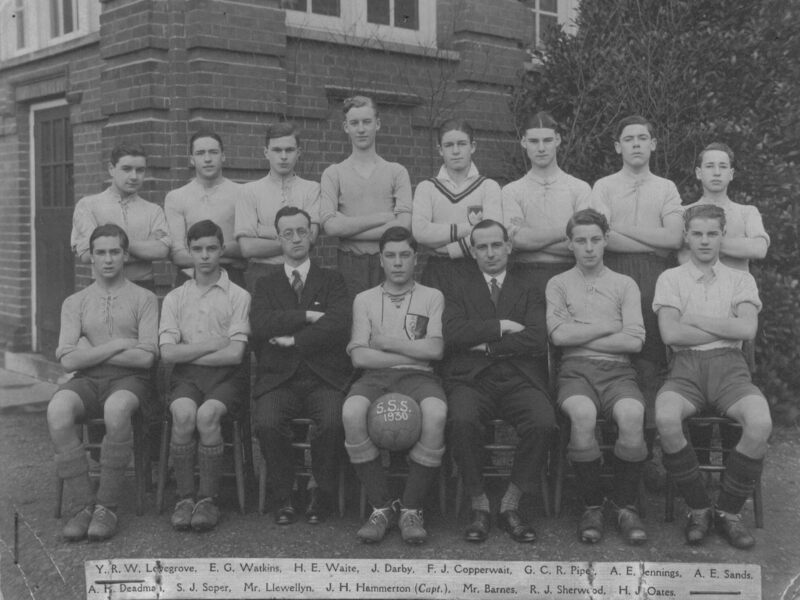 Captain of the Slough Secondary School Football Team 1930.